Finding a niche is usually the first step when setting up your digital marketing sales funnel. This is pretty fun to do when done right. 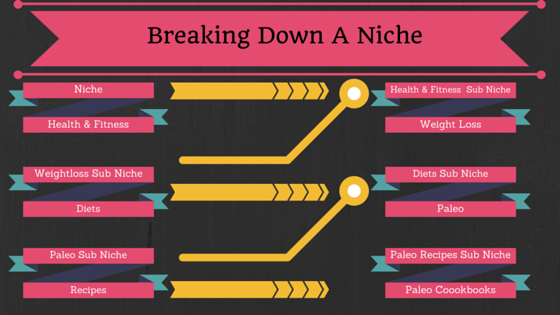 What is a niche? It’s a segment of a larger market. For example Weight Loss is a big market and “losing weight with the Paleo diet” might be a niche within the weight loss market. The tricky part about finding a good and profitable niche is really identifying that particular niche’s audience and what about that niche they are interested in. Are they interested in tips and hacks or are they interested in real products that they can use. This may be the difference of monetizing your list or having a fan base that is only interested in free information. So how do I find a niche you say? Before we get to that you’ll want to ask yourself a few questions. Do consumers spend money on this? Is there a large audience already there? What questions are the consumers asking? So you probably have a niche in mind already. Hence why those questions are important. If it’s something you interested in like a hobby then you already have value to add since it’s something you are familiar with it. Then you want to make sure you can make it profitable. Finally find out if there competition. You want some competition. No competition is a bad thing. It means no one is making money in that niche or sub niche. Be careful when finding a niche, not to base it around a product as these come and go but develop your list around a set of interest that will sustain and provide many products over time. Finding a niche using Google. This is the fun part you will want to use Google’s Keyword Planner. This will show you the global monthly searches for that particular topic. You will want this number to be at the very least 1000 monthly searches. More likely you’ll want at least 2000 monthly searches when starting a new niche. You will also want to make sure that the competition level isn’t too high but you do want some competition as this will indicate a profitable niche. An easy way to check for competition is to just go to Google.com type in your niche keywords and see if there is anyone spending money on adds for those keywords. Then take note on who is spending money on this niche. If major brands are showing up in the top results for the PPC ads then this may be too competitive to break into. Finding a niche using Facebook. Using Facebook for niche research comes with a wealth of information. First of all you will want to begin by searching for pages in your particular niche. Notice the amount of Facebook Pages and Groups around your niche. How long has the Page been around? How many likes does the Page have? Do the followers of the Page engage with the posts? By answering these questions you will be able to determine if this is a good niche to go into. Then use Sendlane’s email marketing software to communicate with your new list. Finally leave a comment and let us know your experience with finding a niche.